Have You Been Charged With Marijuana Possession or Sale In New York? Nassau County Takes Marijuana Offenses Seriously! 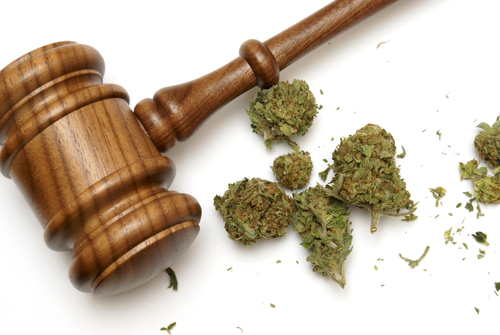 FIGHT YOUR MARIJUANA CHARGE WITH AN EXPERIENCED NASSAU COUNTY CRIMINAL DEFENSE LAWYER! Marijuana has been a hot topic for the past several years. With certain states legalizing the drug, you may wonder what the laws are in New York State. Below, the best criminal defense lawyer in Nassau County explains the various marijuana laws regarding possession and sales, as well as the potential punishments you may face if convicted. First, it is important to point out that while some states have legalized the use of marijuana, it is still considered a federal crime. It is also important to note that New York is not one of the states that have legalized the usage of marijuana. While sentiments of some legislatures and communities are leaning towards legalization, New York as a whole is not quite there yet. In the eyes of the legal system, failure to know the law does not excuse the crime.  Below we break down the specific New York State laws that you may be violating if you are caught in possession of, or during the sale of, marijuana. For the record – New York State law uses the less popular “marihuana” spelling throughout their legislation that references the drug. The possession of marijuana is still illegal in New York. While certain medical usage is now permissible, there are strict guidelines that govern this. Below is a list of laws you may be in violation of if you are caught with marijuana in your possession. Unlawful possession of marihuana occurs when an individual knowingly possesses up to 25 grams of the drug in a non-public location.  As of 2018, violation of Section 221.05 of New York State’s penal law is not a criminal offense. As a violation, offenders will most likely be ticketed by law enforcement should they knowingly be in possession of marihuana. This ticket, which acts as a court summons, carries a fine of up to $100 for a first offense. A second offense comes with a potential $200 fine. Your third offense, however, has the potential for jail time of 15 days and a fine of up to $250. Criminal possession of marihuana in the fifth degree is considered a class B misdemeanor. For a criminal possession charge in the fifth degree, offenders must knowingly possess between 25 grams and 2 ounces of marihuana, or possess marijuana in a public place that is burning or in public view. As a Class B misdemeanor, violation of Section 221.10 can result in up to 3 months in jail and/or a $500 fine. For a fourth degree criminal possession charge, you need to possess between 2 and 8 ounces of marihuana or a mixture that contains the drug. Violating Section 221.15 is a Class A misdemeanor. The result of this is up to 1 year in jail and/or a $1,000 fine. Criminal possession in the third degree applies if you possess between 8 ounces and 1 pound of marihuana or a mixture containing the drug. A third degree possession charge is a Class E felony. As such, those who violate Section 221.20 can face between 1 and 4 years in a state prison and/or up to $5,000 in fines. For those who violate this law a second time, prison time becomes mandatory. Criminal possession of marihuana in the second degree is a violation of Section 221.25. It includes knowingly possessing between 1 and 10 pounds of marihuana or a mixture that contains it. As a Class D felony, violators of Section 221.25 face between 1 and 7 years in a state prison and/or fines up to $5,000. As with a third degree possession charge, prison time becomes mandatory with a second offense. If you are convicted of criminal possession of marihuana in the first degree, you have been found to possess more than 10 pounds of the drug or a mixture that contains it. This is a Class C felony. First time offenders face up to 15 years in prison and/or up to a $15,000 fine. For second offenses, prison time will be mandatory. The sale, cultivation, and manufacturing of marijuana is also illegal in New York State. However, as not all crimes are created equal, New York breaks sales-related charges in various categories. Let’s take a look! The criminal sale of marihuana in the fifth degree refers to providing another individual with up to 2 grams or 1 marihuana cigarette. For this offense, there can be no profit. Violation of Section 221.35 is a Class B misdemeanor offense. First time offenders can face up to 3 months in jail and/or $500. For the criminal sale of marihuana in the fourth degree, you need to cultivate or sell up to 25 grams of the drug. As a Class A misdemeanor, violation of Section 221.40 can earn you up to 1 year in jail and/or up to $1,000 fine. To be found guilty of the criminal sale of marihuana in the third degree, you must be convicted of selling between 25 grams and 4 ounces of the drug. This offense is a Class E felony. The penalties for this violation are between 1 and 4 years in prison and/or a fine up to $5,000. The criminal sale of marihuana in the second degree refers to the selling of between 4 ounces and 1 pound of the substance. As a Class D felony, the violation of Section 221.50 comes with a prison sentence between 1 and 7 years and/or up to a $5,000 fine. The criminal sale of marihuana in the first degree is a serious offense. Selling more than 1 pound of marihuana will result in the violation of Section 221.55. As a Class C felony, being convicted of the criminal sale of marihuana in the first degree can net you up to a 15-year prison sentence and/or a $15,000 fine. In addition to the above laws, there are plenty of other drug-related regulations you may not be aware of. While trafficking and other such laws come with serious repercussions, there are three more offenses you might want to know more about that are related to the possession or sale of marijuana. If you are in possession of marijuana in a public location, you may earn yourself an additional 90 days in jail and/or a $250 fine. While this is a misdemeanor offense – it can still cost you plenty. In New York, law enforcement takes the protection of children serious. This includes not permitting adults to influence juvenile delinquent behavior. Using a child to assist you with the sale of marihuana is going to increase your prison duration and fine. In fact, this felony can add up to 4 years to your incarceration and/or another $5,000 fines. If using a child to assist in the sale of marihuana sounded serious, the penalties for actually selling the drug to a juvenile are much worse. This felony adds up to 7 years to your prison sentence and/or another $5,000 fine. Understanding the laws above can be overwhelming. After all, what exactly does a Class A misdemeanor mean to you? Below, the best law firm in Nassau County helps outline the differences between violations, misdemeanors, and felonies. Violations, which may also be called infractions, are typically reserved for minor crimes and juvenile cases. Violations are typically associated with fines, but repeat offenders may see short jail sentences should they fail to learn from their first mistake. Violations do not warrant a jury trial. You should always hire a criminal defense attorney if you are charged with a violation. Misdemeanor offenses are more serious than violations. They often come with higher fines and the potential for jail time. A misdemeanor may also result in probation, community service, or victim compensation. Misdemeanor offenses do not often result in a jury trial. Misdemeanor crimes can result in a jail sentence of up to one year. It is critical to hire a private lawyer to represent you to ensure the best possible result. Misdemeanors will go on your criminal record. As a result, a private criminal defense attorney is critical in getting the best possible outcome. Felonies are reserved for only the most serious of crimes. Felonies are often divided into classifications (Class A through E) and violent and non-violent crimes. Class A felonies, which are the most severe, typically involve a first-degree murder. Violent felonies also typically include the possession of a firearm or the bodily harm of another individual. Depending on the crime, being convicted of a felony will likely result in a prison sentence, as well as a potential fine. You should always hire a private lawyer to represent you if you are charged with a felony. Felonies may include a jury trial. Being convicted of a felony will result in a criminal record too. If you have been charged with a crime related to marijuana possession, cultivation, manufacturing, or sales in New York, you should contact a criminal defense attorney immediately. In Nassau County, that means contacting the Law Offices of Michael H. Ricca, P.C. Mr. Ricca has the experience and courtroom expertise to provide you with the best potential outcome if you have been charged with criminal possession or sales of marijuana. As your criminal defense lawyer, Mr. Ricca can provide dedicated, skillful, and reputable legal counsel throughout the New York criminal process. As a serious supporter of your right to due process, Mr. Ricca will work with you to minimize, if not eliminate, any criminal charges you may be facing. With a passion for “setting the record straight,” Mr. Ricca strives to ensure you are not convicted of a crime you did not commit. The Law Offices of Michael H. Ricca, P.C. understands how one bad decision can impact the rest of your life. Prison sentences, for example, not only result in a lasting criminal record. They keep you away from your family and loved ones, preventing you from spending precious moments with those you love and being there for important events. Criminal records also affect your future employment opportunities, voting rights, loan potential and much more. Mr. Ricca and his staff also know how overwhelming and scary the criminal justice system may seem. Often unforgiving, the lack of proper representation can mean your case is railroaded. Because of this, it is imperative that you contact an attorney immediately if you have been arrested or charged with a marijuana related offense in Nassau County. Having an experienced, passionate, and trial-ready legal counsel by your side can help you navigate this process. From gathering evidence, witnesses, and documents to helping you prepare for testimony, cross-examination and potential outcomes – The Law Offices of Michael H. Ricca, P.C. is here for you. – What If I Am Offered a Plea Deal? Never accept a plea deal without first consulting a reputable lawyer. Mr. Ricca understands the full ramifications of any plea, conviction, or chances of a jury trial based on his thorough understanding of the law as well as experience. As the premier Nassau County criminal defense lawyer, Mr. Ricca and his staff are ready to hear your side of the story. If you are in need of a criminal defense lawyer, contact The Law Offices of Michael H. Ricca, P.C. today!